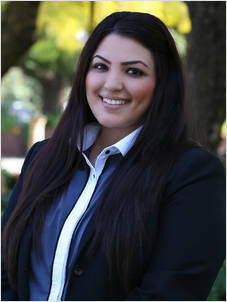 For Paula Abboud, the decision to pursue a career in real estate seemed a logical one, given the fact that a number of her family members were already working in the industry. Paula has seven years of experience as a receptionist and sales administrator which has harnessed her expert knowledge, organisational and communication skills that needed to fulfill her position as a receptionist with Laing + Simmons Granville, then moved up the ranks as an Investment Leasing Officer and then progressing to her current position as a Property Manager. She believes in going that extra mile for every client and is never short of providing service with a smile. Paula exudes a positive and professional attitude when interacting with clients, continually displaying initiative to perform, learn and build her skills within the dynamic real estate market. Paula’s drive, determination and willingness to learn lay an ideal platform for her future goal of progressing even further within the industry.